Small businesses are key to preventing future data breaches in the UK according to a new report from Business in the Community (BITC) that details how SMBs can be part of the solution to prevent cybersecurity issues from impacting customers. The report, launched to coincide with 'Would you be ready? Week', aims to raise awareness of business resilience in organizations across the UK. Surprising though, BITC's report revealed that 40 percent of the SMBs surveyed had not taken any action on cybersecurity in the past 12 months. The organization also found that one in three small businesses do not have any cybersecurity strategies in place at all and more than three quarters (77 percent) said they have no policy for controlling access to their data systems. 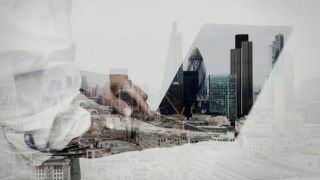 According to the City of London Police, which handles fraud in England, Wales and Northern Ireland, more than 2,000 cybercrimes were reported by businesses in 2018 affecting thousands of customers. Small businesses make up 99.3 percent of all private businesses in the UK and thus they have a responsibility to both their customers and the supply chains in which they operate to handle data safely and securely. BITC is urging UK SMBs to assess how vulnerable they are to cybercrime this week and make improvements to their current levels of protection. “While it's often big companies which hit the headlines as victims of digital crime, when a small business is struck by a cyber attack decades of hard work can be erased in moments. The business owners suffer. The supply chains suffer. Most of all - communities suffer." To prevent falling victim to cybercrime, BITC recommends that UK SMBs provide cybersecurity training for their employees, back up their data securely and protect themselves from viruses and malware by using antivirus software.